Notaker’s return to Monstercat is a triumphant one. The intro track, ‘Only in My Dreams’, evokes nostalgic emotion in its nearly two-and-a-half-minute intro with its spacey vocals, powerful synths, and subsequent drop. The radio edit of the lead single ‘Into the Light’ is followed by the extended mix,offering a more progressive take on the melodic glitch-influenced anthem. With deep basses and a final drop that truly turns up the energy, ‘Melophonic’marks the gleeful midpoint of the EP and is the hardest hitting track on the project. With impactful vocals provided by Eric Lumiere, colorful percussion, and iridescent synthesizers, the second and final single off the EP, ‘Each Other’, is a transcendent journey. The infectious house track ‘The Longest Night’ progresses from its extraordinary, extraterrestrial synths into a bouncy ballet of light chords with reverbed undertones. On the final track, Notaker flips the powerful anthem, Into the Light, into a chilled, intoxicating composition with spacey, melodic vocal chops on ‘Into the Light VIP’, one of Notaker’s most unique productions to date. 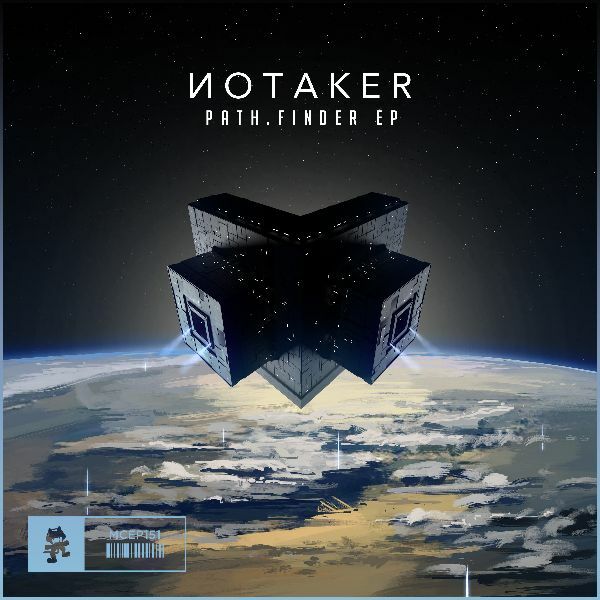 On PATH.FINDER, Notaker builds emotionally-rich narratives that ultimately culminate in a mesmerizing balance of delight and remembrance.